The lauded Rolex Submariner is one of the most popular luxury watches in the world. Easily the most popular steel-cased (or otherwise) luxury diving watch, the Rolex Submariner sets the bar in many ways when it comes to timepieces of its type, at its price point. 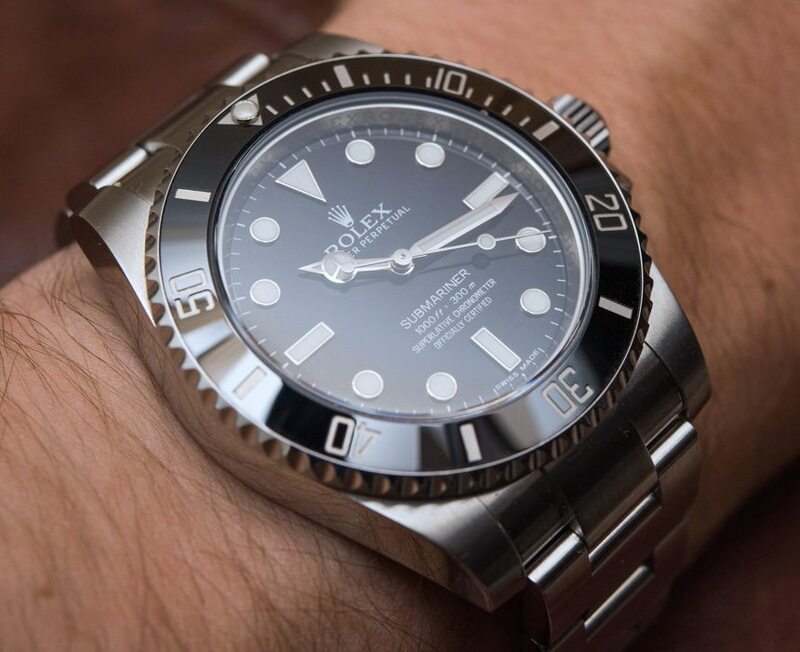 aBlogtoWatch has reviewed the Rolex Submariner here, offered a long-term review of the Rolex Submariner No Date watch here, and even compared the Rolex Submariner to its “cousin” watch the Tudor Heritage Black Bay here. 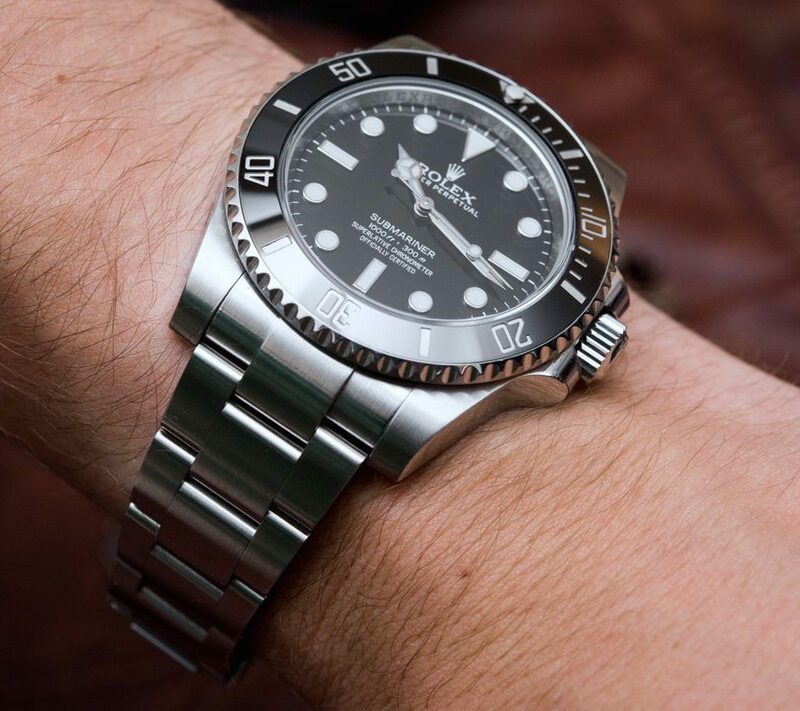 With that said, the Rolex Submariner isn’t for everyone, and a lot of people who already have a Rolex Submariner still like the genre of high-end steel sports diving watches and are interested in other watches like it. Let me first say that Rolex as a brand, and the Rolex Submariner as a model, are among the most copied things out there. 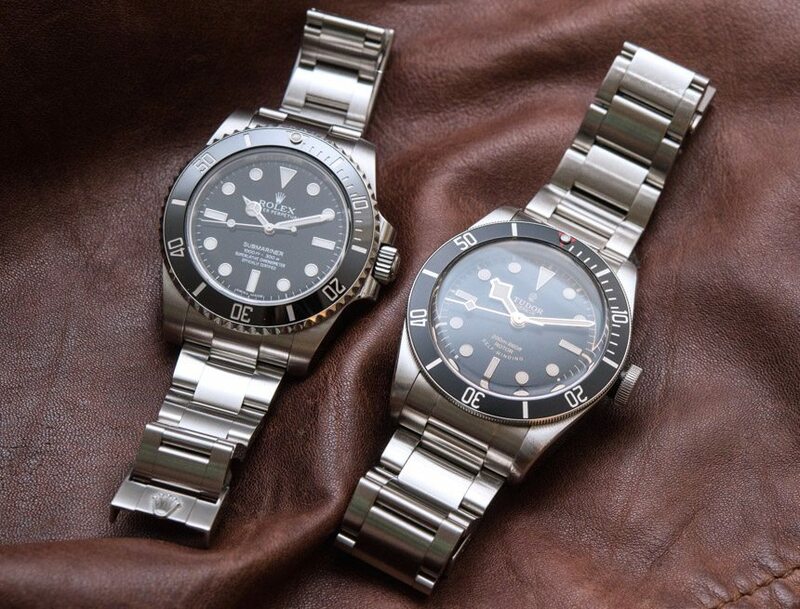 Not only is there a vast underworld of fake (which we very much recommend against) Rolex watches, there are lots of “lookalike” timepieces out there which merely seek to emulate the look and feel of a Rolex Submariner for the benefit of another brand. Those aren’t the types of watches I’ll be talking about in this list. Oh, and I’d also like to say that all of the watches included in this top 10 list are being currently produced at the time of this article’s writing – but it is possible to find other stuff out there that is no longer in production. To kick-off a possible new article series, I’d like to list my personal top 10 alternatives to the Rolex Submariner that still exist within the design, quality, and overall luxury pricing of the Rolex Submariner. Further, I’d like to focus on dive watches that share a few important things in common with the Rolex Submariner. Those things, for our purposes, are 1) available steel or titanium case construction with matching bracelet, 2) high-quality mechanical movement, 3) time-only display (date optional), 4) mostly (or entirely) monochromatic design with dark colored dial, and 5) a sporty design that can be feasibly be dressed up for a more elegant or formal look. Nothing can absolutely replace the Rolex Submariner, and in many ways the Rolex Submariner is the best of its kind when blending price, features, and quality. 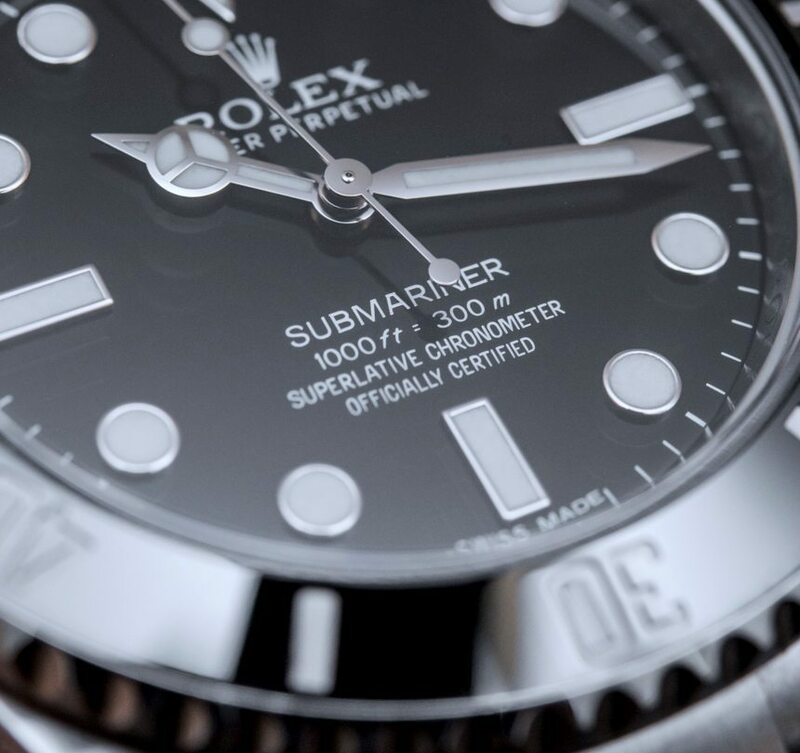 Also, Rolex has some of its own “alternatives” to the Submariner which arguably include the Rolex GMT-Master II, Rolex Sea-Dweller 4000, and the Rolex Deepsea Sea-Dweller. 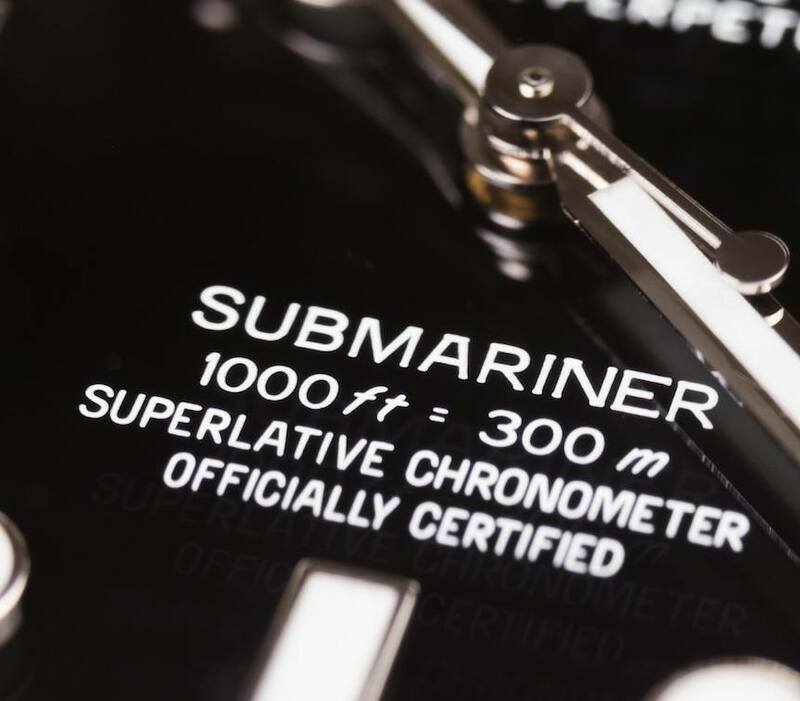 I won’t mention those below, but you should know about these more “deep-diving” watches that Rolex produces which are technically Submariner alternatives as well (even though they arguably look very similar). Last, I would like to mention a few basic tech specs of the Rolex Submariner to keep in mind. The watch is 40mm wide in 904L steel, water-resistant to 300 meters, and has a wonderful matching bracelet that has a handy micro-adjust system for a more precise fit that can be adjusted on the fly. 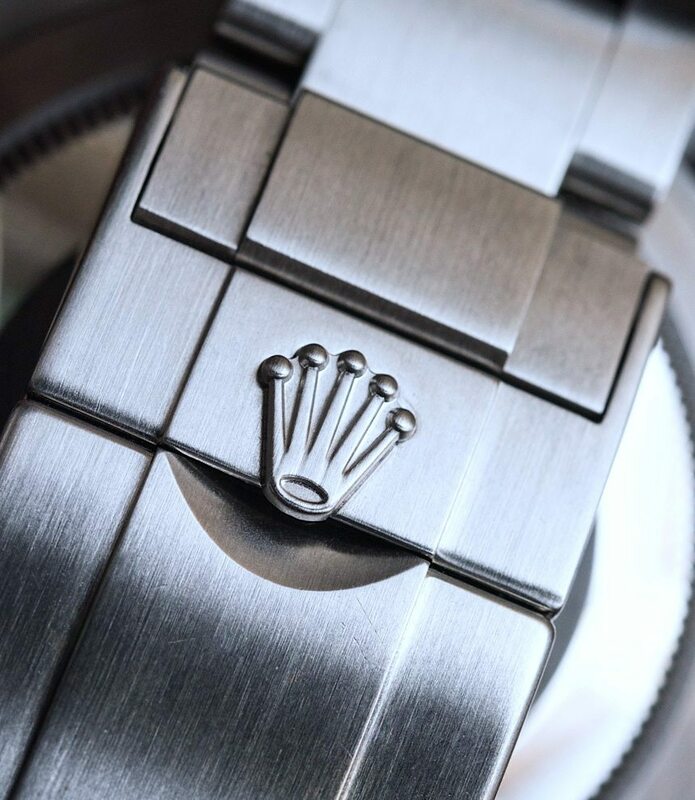 Rolex uses their own in-house-made movement which promise arguably class-leading performance, and the Rolex Submariner’s bezel is produced from ceramic. Current retail price for the steel Rolex Submariner 114060 “No Date” is $7,500, and the Rolex Submariner Date 116610 is $8,550. 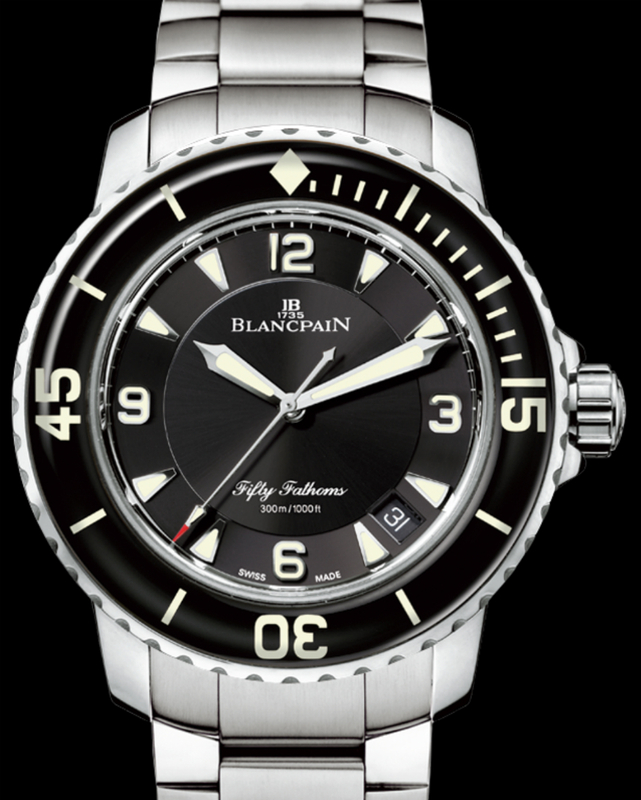 Strengths: 45mm wide and with an in-house movement, the Blancpain Fifty Fathoms Automatique 5015 (aBlogtoWatch review here) collection has an available steel model with a matching bracelet and black dial that is thematically in the same category at the Rolex Submariner. It is expensive, but it is also well-made and beautiful. Strengths: Tudor is owned by the same people as Rolex (they are careful to say they are not owned by Rolex), so there is a lot of design and construction carry-over from “the crown” brand. Starting in 2016, the Tudor Heritage Black Bay (hands-on here) also has an in-house movement along with a handful of interesting design refinements. It is easily one of the best values around when comparing design, construction, and mechanics. 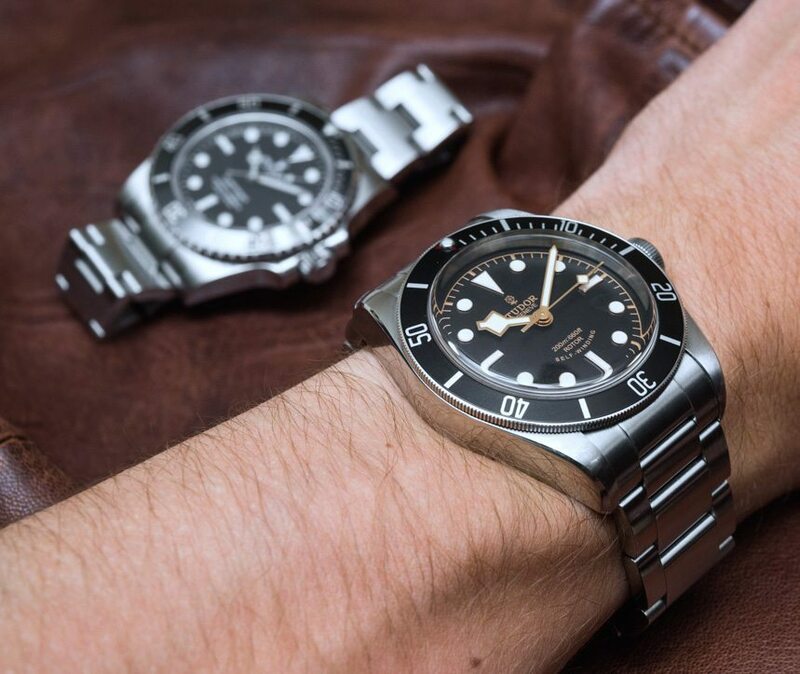 How it compares: The Tudor Black Bay is slightly larger than the 40mm Rolex Submariner with a 41mm-wide steel case, and it is a bit thicker as well. Perhaps the biggest “down-side” is its aluminum bezel insert material versus the Rolex Submariner’s more durable ceramic – though you do get more interesting color options in the Heritage Black Bay, such as burgundy red. Solid dial design was historically inspired by the Rolex Submariner, so the differences are only slight, though noticeable. Strengths: Omega has spent decades refining and honing its Seamaster collection… which has actually resulted in a huge amount of variety. 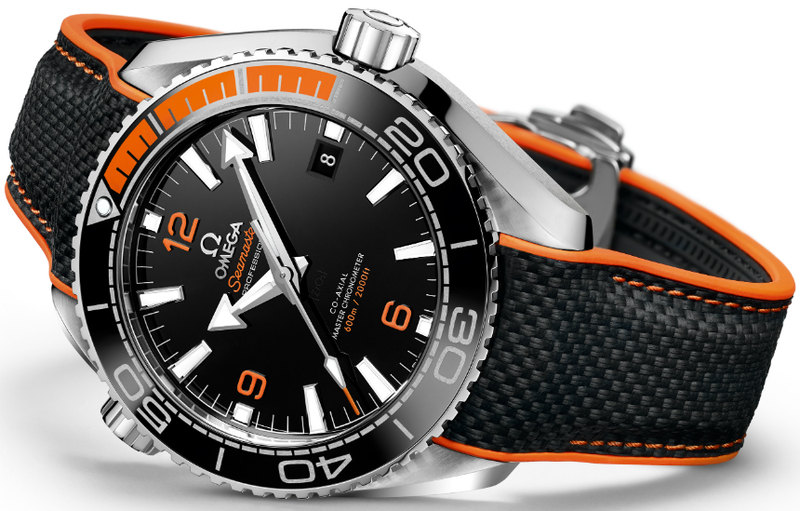 At the top of the ladder when it comes to fancy dive watches is the Omega Seamaster Planet Ocean, which combines the appeal of a serious diving tool with a good-looking lifestyle product. The Planet Ocean is just sober enough to not look showy, but it certainly has an impressive wrist presence and a lot of very attractive movements today. 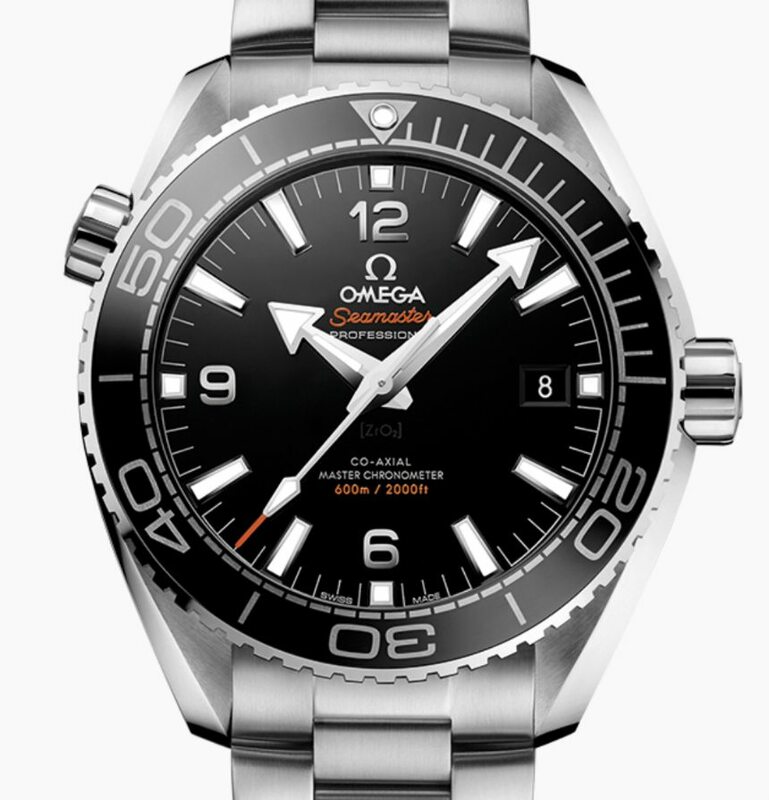 How it compares: Comparing the Omega Planet Ocean to the Rolex Submariner really depends on the model since Omega makes not only different sizes, but different versions – and that applies even to just the three-hand automatic models (the image above shows the Planet Ocean Master Chronometer). There is no perfect 40mm-wide analog, but there are Omega Seamaster Planet Ocean models similar to the Rolex Submariner in terms of features and size. While Rolex still arguably wins when it comes to fit and finishing, Omega is clearly chasing Rolex when it comes to movement performance, dial and case construction, as well as overall popularity. It’s certainly worth a close look. How it Compares: The 41mm-wide Diagono Scuba is about the same width as the Rolex Submariner, and they have similar thickness profiles as well. On the wrist, they have a very different feel, even though they attempt to serve the same purposes. 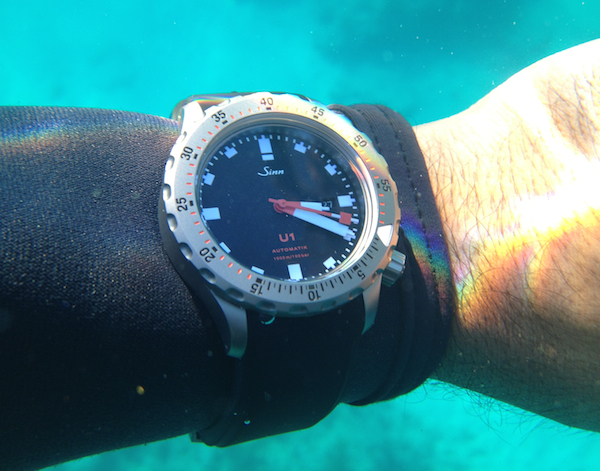 Both are 300-meter-water-resistant divers and contain in-house movements. 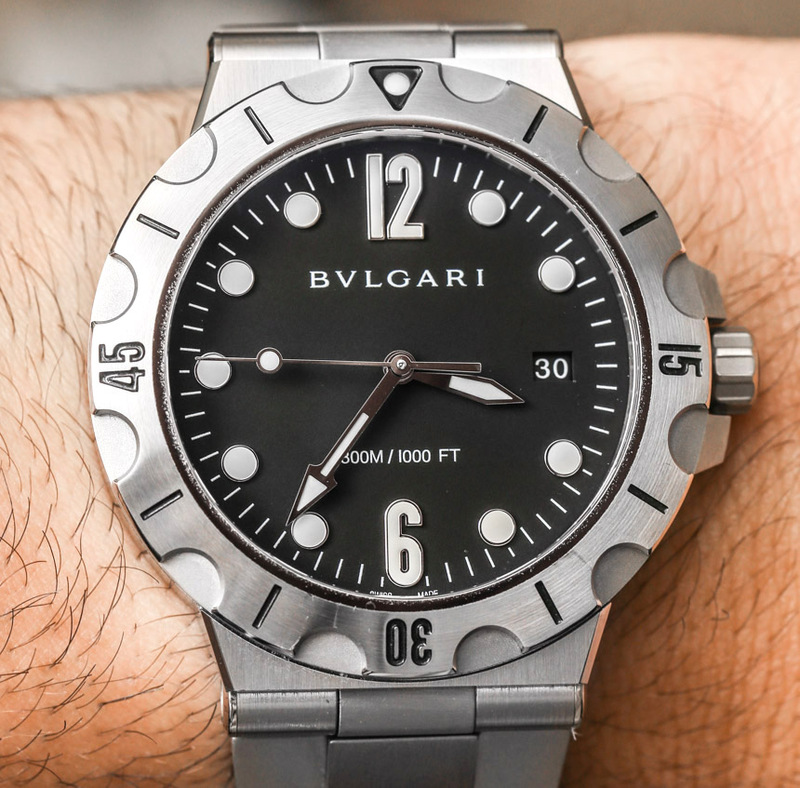 The Bulgari Diagono Scuba doesn’t have a ceramic bezel (it uses an all steel design) but is an admirable and lower-priced Rolex Submariner alternative with a more modern, designer twist to it. 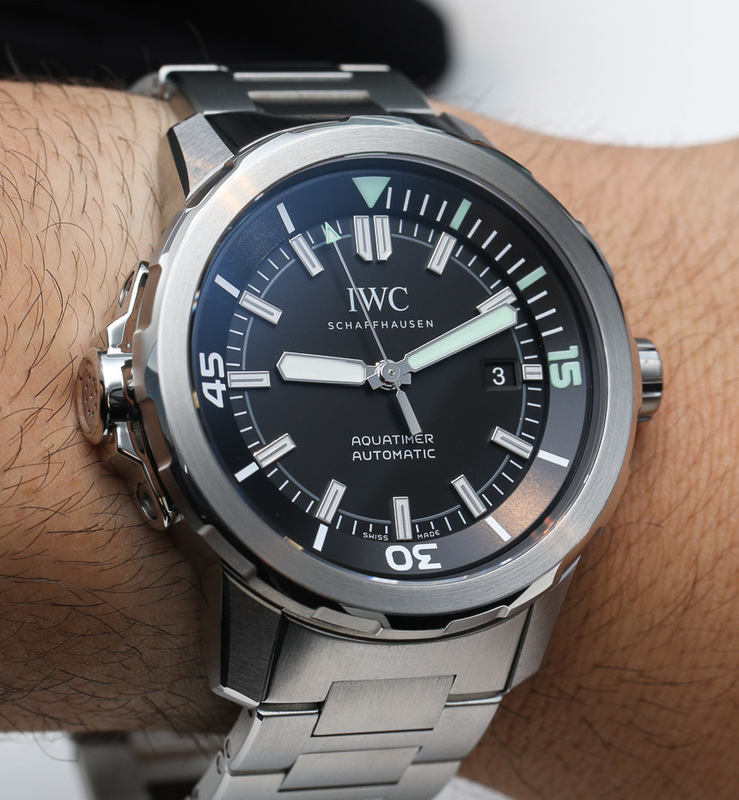 Strengths: Each generation of IWC Aquatimer has its own personality, but there always seems to be at least one steel model on a bracelet with a monochromatic dial that is probably a good analog to the Rolex Submariner. 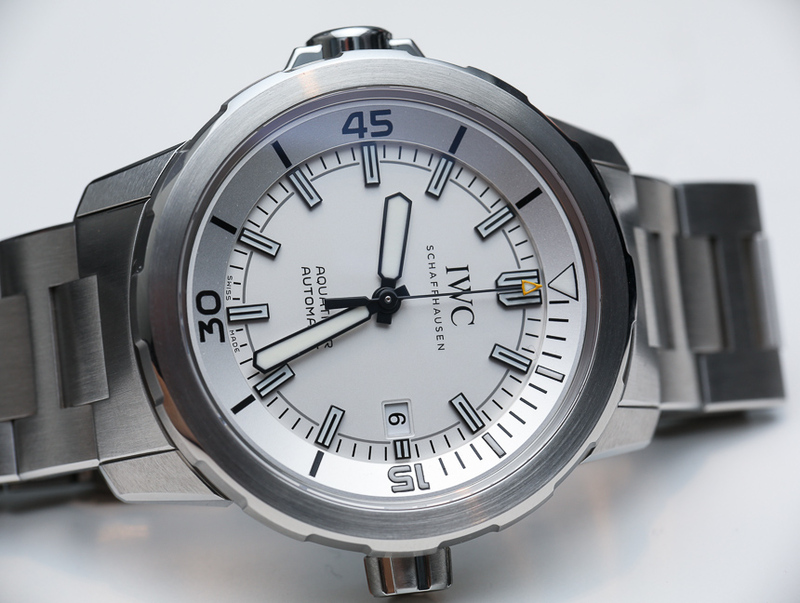 IWC has a lot of nice features as well, such as a quick-change system for the bracelet, as well as a neat ratcheting, rotating dive bezel system on some models. IWC goes for a slightly more modern look, which will appeal to those seeking a high-end watch experience without the attributes that come with a Rolex. How it compares: To a large degree, three-hand Aquatimer watches are entry-level for IWC, so expect prices to be lower than Submariner. However, these watches do not use in-house movements (while Rolex does, of course). Also, the style of Aquatimer watches isn’t as timeless, or universal, as the Rolex Submariner. The Aquatimer also has a case that is a bit larger, as well. Strengths: Seiko doesn’t have the name cache as Rolex, but it has a legacy of sport and durability unlike most other brands. Seiko watches are beloved around the world for their durability, design, and value even if they don’t have the wrist presence of a luxury Swiss timepiece. 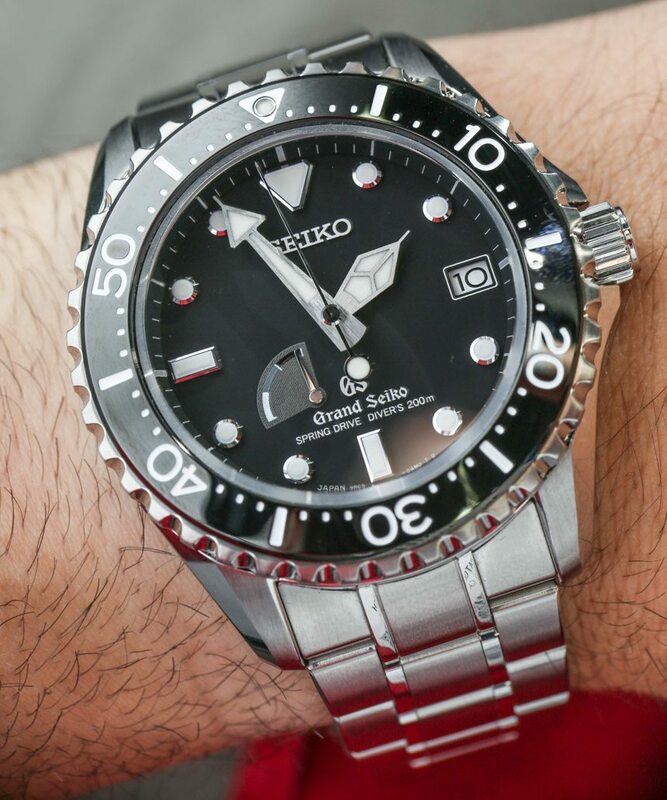 The highest-end Seiko watches are Grand Seiko, and one of their most simple and desirable dive watches is the Spring Drive SBGA209 (hands-on here). Rather than use a traditional mechanical movement, this timepiece uses Seiko’s own Spring Drive, which is mechanical movement with a quartz regulator. Essentially, you get the charm of a mechanical movement with the performance of quartz. How it Compares: It is often the case that Japanese design language isn’t as refined as that of the Europeans, but the Grand Seiko Spring Drive Diver is as close to timelessness as you can get in a watch of this ilk. Produced as one of Seiko’s more high-end models, and with their legendary attention to dial detail, you get more than enough watch for the money, even if people don’t readily notice it as a high-end item. Strengths: Sinn, known as a maker of serious German sport watches, stumbled onto a little bit of brand personality with the U1 (aBlogtoWatch review here) collection. These 44mm-wide, 1000-meter dive watches are designed to put up with anything (and perhaps more) a Rolex Submariner can put up with, save for bragging rights at a social gathering. The blocky hour markers and hands grow on you quickly, while the sheer utility of the U1 is almost legendary at this point. 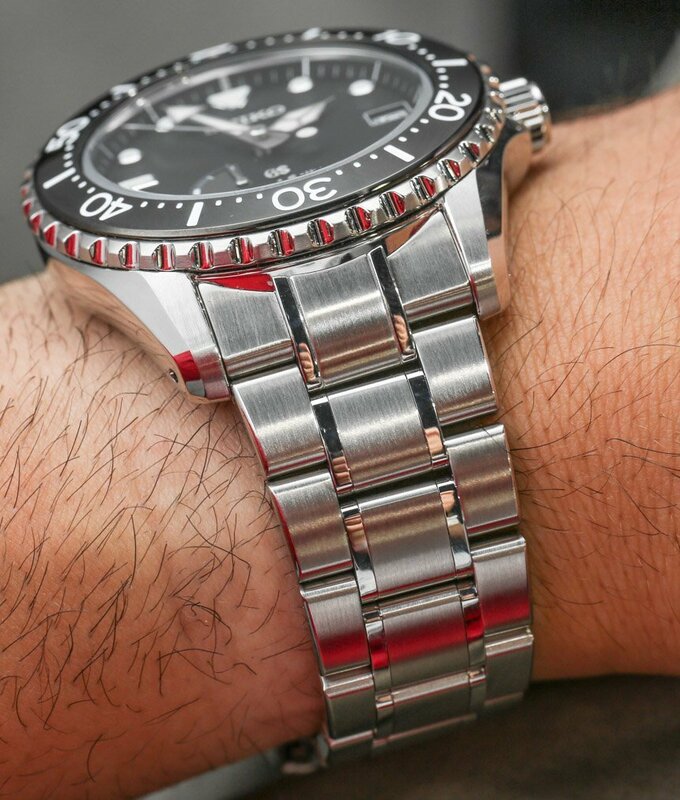 How it Compares: While the Rolex Submariner has never been a showy watch per se, the U1 has a slightly more industrial look given its sand-blasted but ultra-hard German submarine steel construction that probably gives Rolex’s 904L steel (also pretty durable) more competition than your average 316L steel watch. 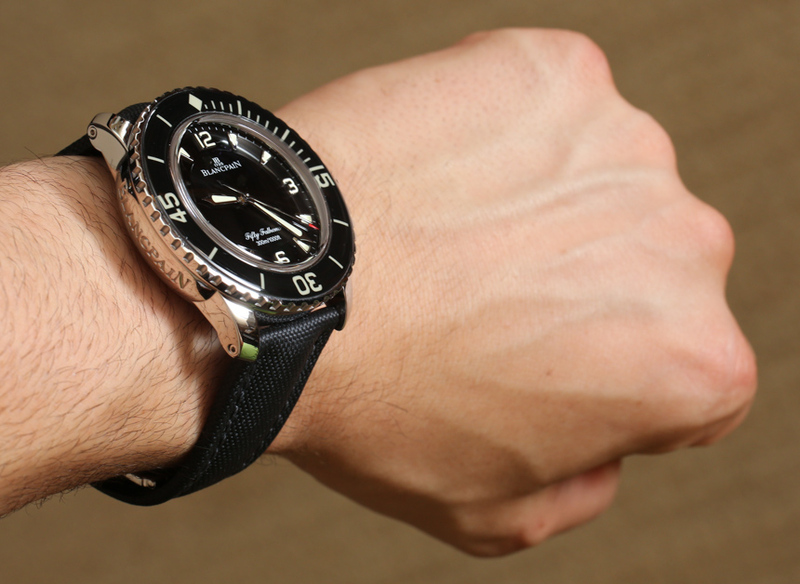 Sinn doesn’t use an in-house movement, and the look is a bit more avant-garde than the Rolex Submariner. 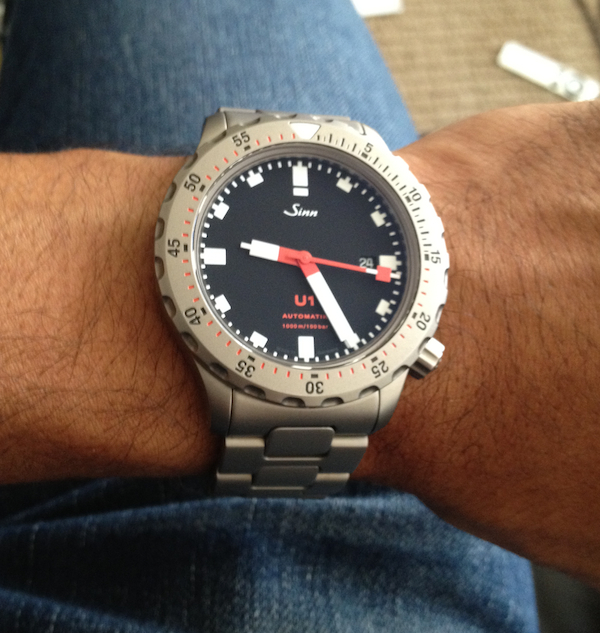 The red accents also make the U1 arguably less than ideal for formal occasions. Price is right, though. Strengths: If you want an Oris watch that more closely resembles a Rolex Submariner, then the Oris Sixty Five 42 (hands-on here) is a solid option. In terms of quality and materials comparisons, I am going to suggest the Oris ProDiver Date. 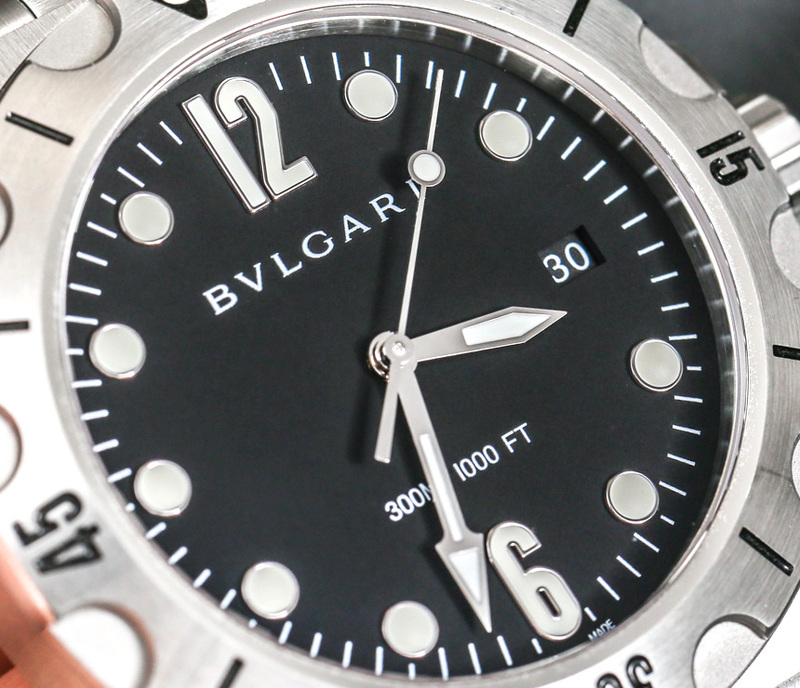 This not only offers a more signature look for the Swiss brand, but also the durability (and boldness) of a 49mm-wide titanium case with 1000 meters of water resistance, safety locking ceramic bezel, and an automatic helium release valve. 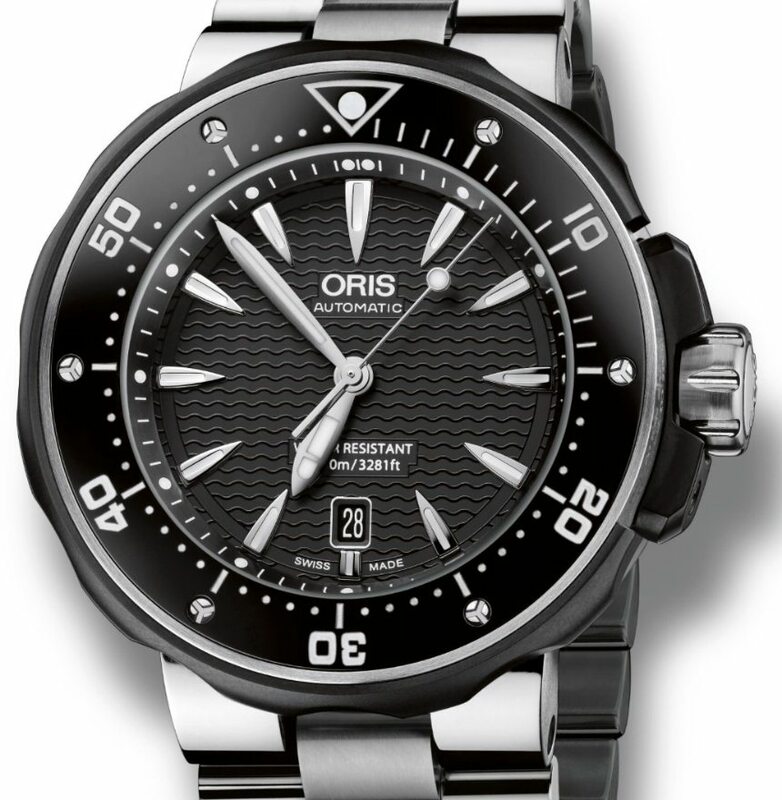 How it Compares: Like many others on this list, the Oris name isn’t going to beat Rolex. 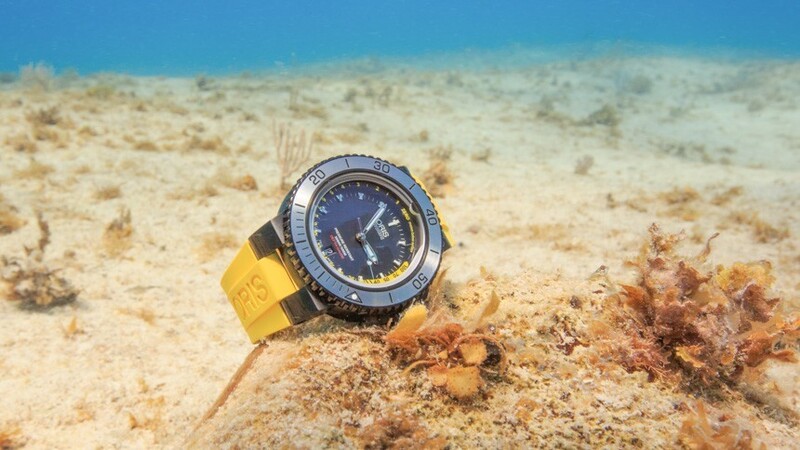 The brand itself likes to say they make “real watches for real people.” Going along with that, the ProDiver Date is meant to be a real dive watch for real people who go diving. With that said, it works suitably as a daily-wear assuming you like the large size. It doesn’t have an in-house movement either, but for the money, this is a good amount of watch. Strengths: The 42mm-wide steel version of the Royal Oak Offshore Diver (hands-on here) wears very nicely and does come on an optional matching bracelet (my choice). Audemars Piguet includes its typically high level of fit and finishing on this luxury timepiece, which also benefits from being quite exclusive given much lower production than the Rolex Submariner. Overall, it is a good-looking and sensible (by luxury watch standards) tool watch that gives the Rolex Submariner a run for its clout. 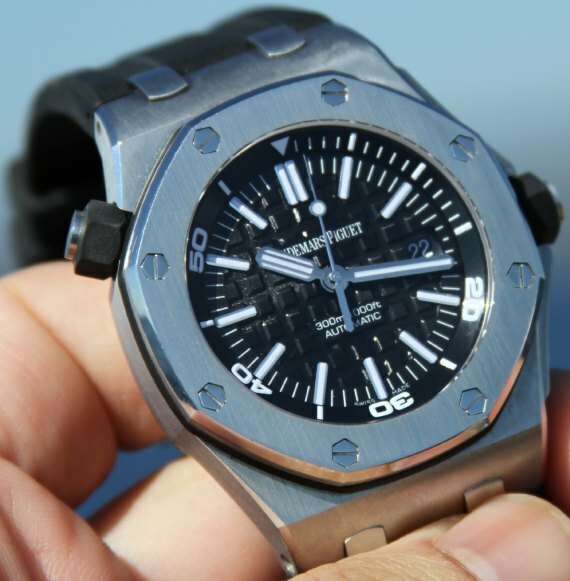 How it Compares: Like the Rolex Submariner, the Audemars Piguet Royal Oak Offshore Diver is both a tool and a luxury status item. This watch happens to leverage the great history of Royal Oak watches in pure dive watch form – that means you get the distinctive octagonal case shape of the Royal Oak as well as the “mega tapisserie” dial texture. Audemars Piguet also uses in-house movements, and even though it is more expensive than the Rolex, the Submariner’s movement is arguably a better performer. Status-wise the Royal Oak Offshore Diver is a bit more high-end, even though it isn’t as “sensible” a choice as the Rolex. 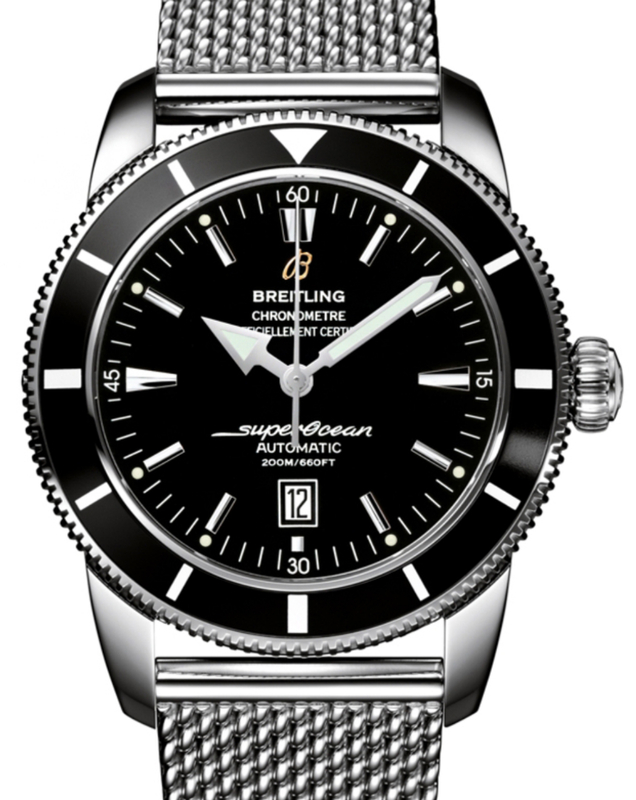 Strengths: Breitling produces a large number of dive watches under the Superocean name, but in my opinion, the most aesthetically elegant is till the Superocean Heritage. Both it and the Rolex Submariner are essentially based on 1950s dial designs, which explains why they both have a nice timeless look to them. In 42mm- or 46mm-wide variants, the Breitling Superocean Heritage is a larger watch, which is enhanced by the all-polished finishing of the steel case. It also has a distinctive look compared to the Rolex Submariner given the available mesh metal bracelet. How it Compares: An aging platform, the Superocean Heritage is still a handsome watch, but is a bit behind the times without an in-house movement or more durable bezel material. With that said, it is still pretty, and the Breitling brand is both known and beloved by many – making it not an equal to Rolex in name awareness, but more known than most other brands on this list. It would be even more attractive with a price decrease or spec update.